Owen Mumford Unilet Micro Thin Lancets 33G 100/bx AT-0585 have been designed to offer you a comfortable and affordable lancing experience. Owen Mumford Unilet lancets are universal to most lancing devices and feature easy to operate twist-off caps. 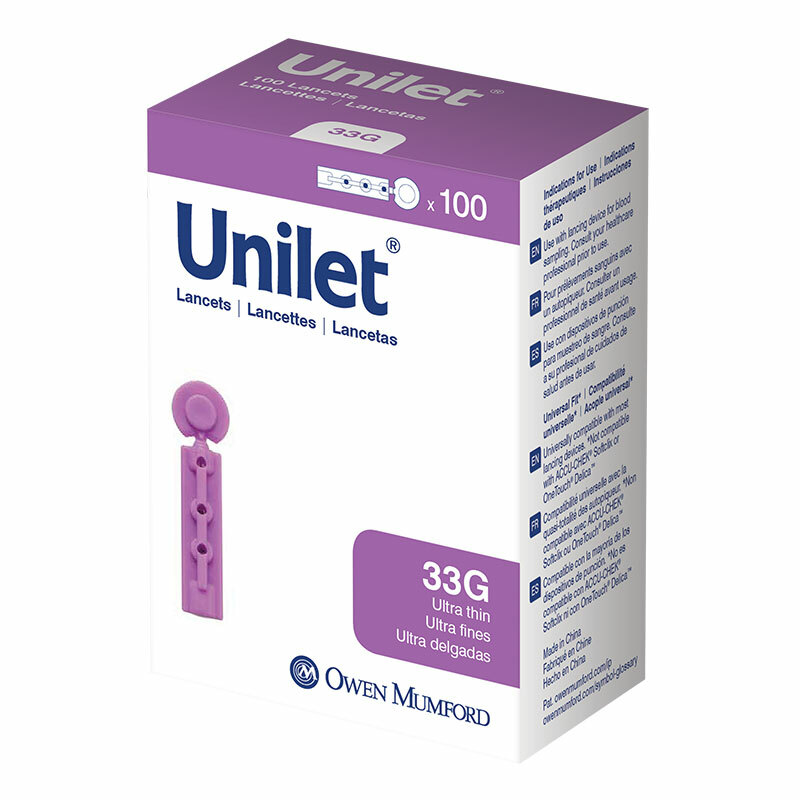 Owen Mumford Unilet Micro Thin Lancets 33G 100/bx AT-0585 are sterile, single use lancets designed for at home capillary blood sampling.Designed for use with Autolet Lancing Devices and is compatible with most devices on the market* Available in a range of sizes to meet all patient needs. Universal Fit - Works with most universally compatible devices on the market. Designed for Comfort - Precision sharpened and available in a range of sizes for enhanced comfort. Ease of Use - Easy twist off cap keeps product sterile until ready for use.